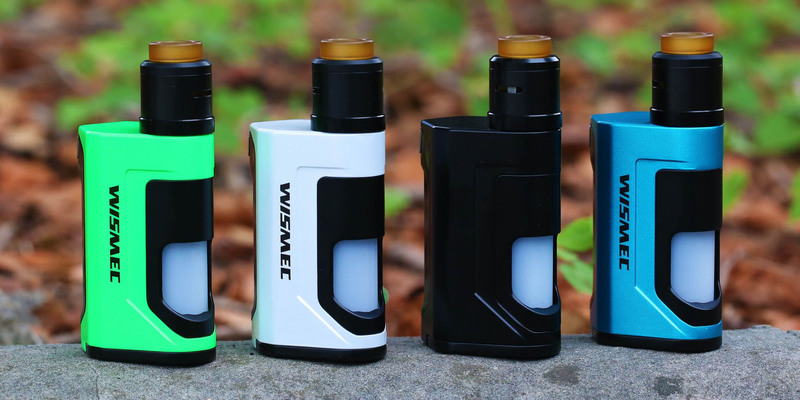 Wismec has released the Luxotic DF Box Kit. The new skvonker, powered by two 18650 batteries and an outstanding 200 watt of power, was equipped with a double-helix Guillotine V2 twin-coil. 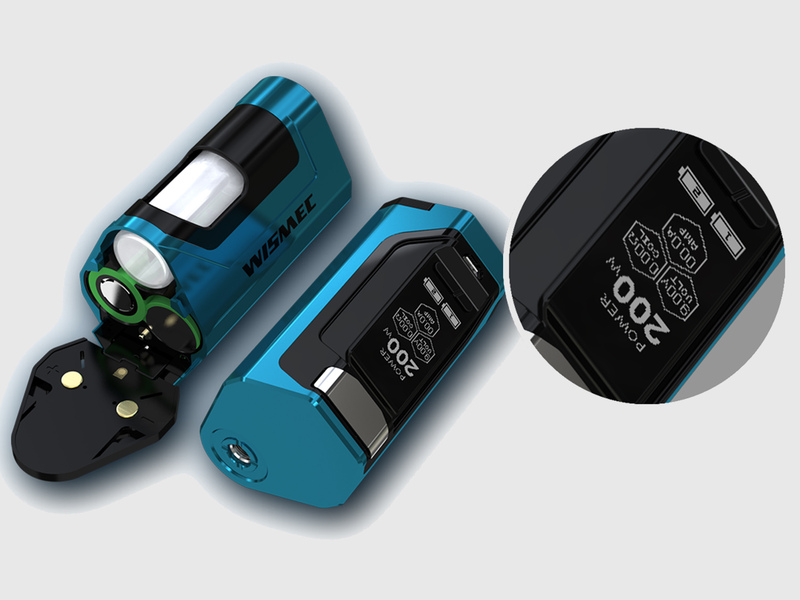 On September 30, Wismec presented the Luxotic DF Box Kit on Facebook . Skvonker received a squat pentahedral case with slightly rounded corners, available in four colors. The front side was machined “under the grip”, equipped with an angular fire button, a display, and an adjustment key with a USB port. On the opposite side fixed removable panel with a window hiding the bottle. Hinged battery cover installed on the bottom. The maximum power of the squonker reaches 200 watts. You will need a pair of 18650 batteries for power, you can charge them with a current of no more than 2A. The volume of the reservoir for the liquid is 7 milliliters. Completes the mod released half a year ago Dripka Guillotine V2 . The center of its deck is separated by a pair of massive rectangular racks, allowing you to install two spirals. The fixing winding provide four screws. Blowing – side, adjustable turn the cap. 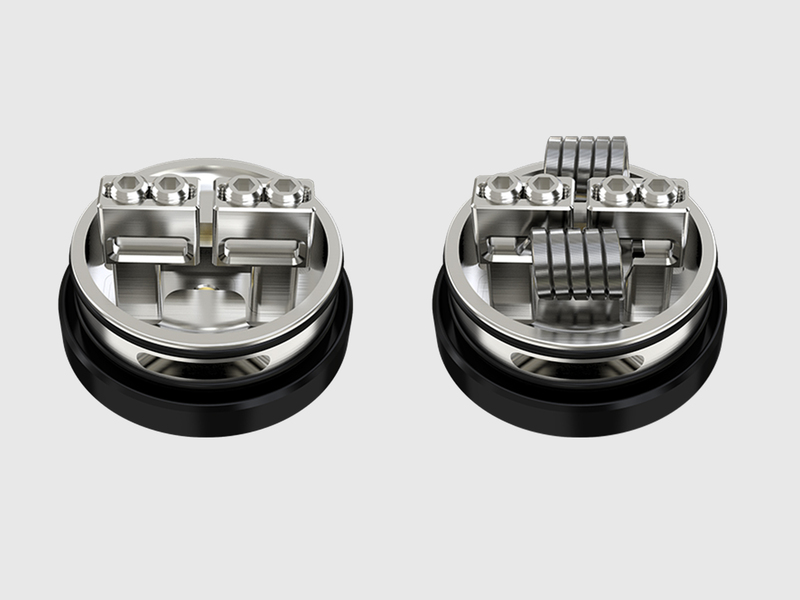 There are two Ultem-Driptypes – high and low profile, both 810s. There is a decorative ring as an ornament. The package includes two spirals, additional driptyp, cotton, USB-cable, spare parts and instructions.